Thinking of a different way of celebrating love this February? 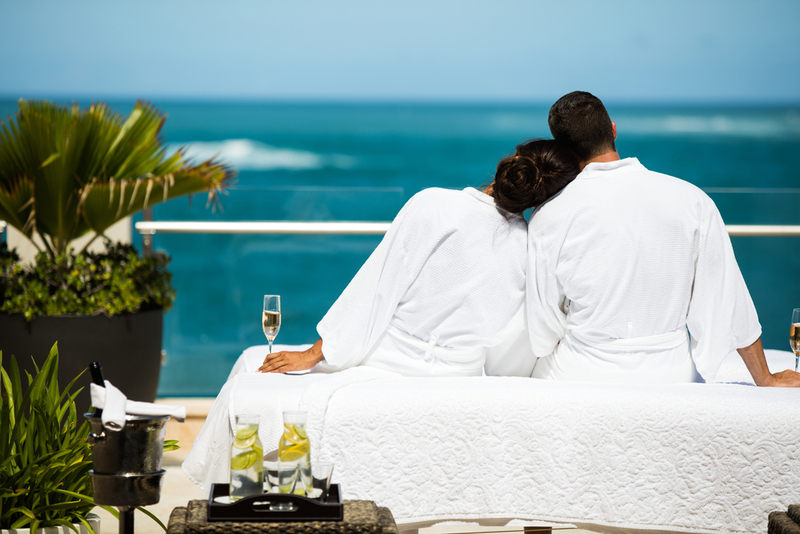 Slip away to the Caribbean with your significant other and celebrate a warm Valentine’s day in San Juan. Plan your own long weekend escape at Condado Vanderbilt Hotel, and make it one to remember full of romance and relaxation. Since 1919, Condado Vanderbilt has been setting the stage for one of a kind experiences, timeless luxury and exquisite amenities. Be part of the legend and experience the mesmerizing service for which the Condado Vanderbilt hotel stands for. Couples who prefer a more intimate getaway can get spoiled and let magic unfold at the Condado Vanderbilt Suites with the exclusive 24-hour Butler service. Enjoy a glass of champagne with a view, from the comfort of your room while enjoying the Atlantic breeze. And then, whisk your significant other to The Spa and let the experts pamper you with a Couples Signature Massage. 50 full minutes of side-by-side relaxation and distraction to satisfy both spirit and body. As we find ourselves at the peak of Engagement season, there is not a more perfect place to propose than at Condado Vanderbilt hotel. Whether with an ocean front view, or a special dinner at one of our restaurants, or even a private proposal at your Suite, we have the setting to make it a unique moment you will always remember. Already engaged? Escape from the so-called stress of pre-planning and come relax at Condado. Take a look at our venues and start planning your Caribbean wedding today. You know you have been day dreaming about it, we can help you make it a reality! Celebrate love with the freshest ingredients at the on-site dining venues at our Condado hotel. For a romantic dinner you can choose from Ola Ocean Front Bistro in a more relaxed environment with stunning views, or the exclusive 1919 Restaurant, where Michelin Star-rated Executive Chef José Juan Cuevas’ special menu creates a dining experience like no other. Date night is not over yet. Enjoy some Centennial Cocktails at the very intimate VC Lounge. Toast to love with our variation of the Negroni and the Grasshopper, both turning 100 years as well. All you need is love... and a swimsuit! Condado Vanderbilt is dotted with swimming pools for your enjoyment; from our main pool and infinity pool, to a quieter adults-only pool near the beach. Feel the warmth of the Caribbean and book one of our packages today! Our private cabanas and personal Pool and Beach butler are waiting for you. Talk to our concierge and add a tour to your romantic adventure. A breezy stroll around Old San Juan or a Sunset Cruise on the San Juan Bay will ensure this vacation to end with the perfect touch.